Well. This is a rather difficult post to write so I've put it off. I couldn't decide whether to ramble on and prepare you or be *dramatic*! I prefer the use of humor, but can't quite work it in here. OK, now I see that I went with *dramatic* because this sounds MUCH more serious than it really is! Nothing is wrong people!! :) <--- See? Smiley face tells you it's all good. Out with it, I guess, is the best way. I've decided to quit blogging (and why is it that I feel the need to write this in the form of a resignation letter?). Quitting is not something that I've been really considering for a long time and I don't have anything really preventing me from blogging. In fact, I was getting ready to start offering advertising on my blog. And I was considering attending a fabulous Christian women's blogging conference (Relevant) next year. I was praying about whether or not I should attend that conference and whether or not to use the advertising dollars for that or something else. I recently said on Facebook that sometimes when you ask God to help you decide between A or B, He answers C. And that's what happened. After praying about it, I started feeling like I shouldn't be blogging at all. I discussed my thoughts with my hubs and he is supportive of whatever I decide, but didn't think it would be a bad thing to quit as long as I still have a hobby to enjoy (blogging has been a hobby for me). Now I'm not saying that blogging is a bad thing! I've been blogging since April 2008! It's great and I have been very blessed through it with making friends, learning new skills, finding answers to questions, and so much more. But blogging distracts me too much from my duties at home. And let me tell you - I can get distracted better than anybody! Of course, I can be distracted without a blog, but the blogging seems to be worse for me. I have a stumbling block - to be noticed and praised by Man. Blogging leads me to those thoughts and desires more often than I would like. The only notice and praise I need is from our Heavenly Father. I really don't think He'll say: "You know, your family couldn't find any clean underwear in that laundry pile and those dishes have been there for a while, but that was a great post you wrote about chocolate today." We all have our days and our moments like that with or without blogging, but I feel that blogging is a big contributor to my neglect of my family and household. Just writing blog posts would be one thing, but there is so much more that goes along with it. There are comments to check and respond to, stats to look at, parties to link to, pictures to load, blogs to visit, not to mention Twitter and Facebook. I can hear you saying - just skip all the other stuff, but it's too intertwined for me now! I can't separate it all - can't do one without the others. So it's time to step out of the blogosphere and back into real life. I always wanted to shine through blogging, but what I am called to do is fade into the background and become the wife, mother, child of God, friend, and Imperfect Homemaker I was meant to be. It's in the fading that I hope I will shine with the glory of the Lord. So you got *dramatic* and rambling all at the same time - I aim to please! :) There will be one last Farewell CHOCOLATE Friday this Friday so I hope you'll stop by and link up a post and/or leave a comment! My blogs will remain up so everybody can get the recipes whenever they need them, but I just won't be posting anymore. Love & hugs to you all!! God gives us times and seasons for different things....I understand completely and admire your obedience. Yes, I can have 500 friends on facebook, but my family has dirty underwear......and NO time for my relationship with God. We will all appreciate the great time we had with you!! I just recently started following you and enjoy your blog. However, I completely understand where you're coming from. I was trying to be the best blog on the block. I think I've finally reached the place where I am blogging because it's enjoyable for me. I don't do it for comments, but because I want a place to write. Thanks for being honest. It made me sit and really think about what I was doing with my time. Sometimes obedience is not easy - but will always bring blessing. I'll miss you! Thank you all so much for your comforting words! I really do appreciate your comments as I had a harder time emotionally than I expected after publishing this post! There is a season for everything. I'll miss your chocolate, but I'll keep it going. Well my friend, I've loved riding this ride with you. It won't be the same without you. But I completely understand. You have to be faithful to God's call. I pray blessings on you. May you be blessed in your role as a wife and mom. You're an amazing woman and I know you will do well with whatever you decide to do. Sending hugs & prayers your way! I am going to miss you! I have loved following your blog. I pray that as you step out in obedience to what God is asking you to do that He will bless your socks off! I'm sad seeing a fellow California-Christian-Blogger take her final bow. (Lord knows there aren't enough of us here on the left-coast.) But, I understand more than you know. Your obedience to your ministry (your family) brings glory and honor to Him. I still am hoping we can meet this side of Heaven. We live way too close to each other not to! With the time you're going to save not blogging, I think we need to make a coffee date! Hugging you with my heart today. Your words were touching and really made me think about blogging and its purpose. I have struggled with the same issues. How wonderful to hear God's voice so clearly:) Enjoy your family! That just breaks my heart, but of course I understand totally. Many hugs! You've always been one of my favorites, amongst bloggers and especially on Twitter, but this decision makes me respect and admire you all that much more. I don't know if many women would've had the strength of their convictions to do the same, and I applaud you for it. God bless you for your faithfulness to Him over Man. Thank you so much for all you've shared. I only recently found your blog and have enjoyed it very much. Take care of you and your family and He will take care of you. God bless and wishing you a happy Holiday season! I know it must be a tough decision. I do understand, especially as I was just looking at a hamper of clothes that need to be folded. And as a previous commenter said, how wonderful to hear the Lord's leading so clearly! I'll miss Chocolate Friday, miss you at Retro Runway, and--especially--just miss YOU. For me right now, my blogging is my way of keeping up with family and friends (one of the is you!) who I don't see often. Someday my blog might transform into this big thing where I post craft ideas, recipes and all sorts of stuff, but not now. So while I completely agree with your decision, I will really, really miss 'seeing' you in blogsphere. And could you maybe every few months or so, write a post about how you all are doing? I completely understand, Lisa. I guess that's one of the reasons I don't post much anymore. I used to think I had to post every single day. Now I'm doing good to post once a week! I keep Facebook for friends and family and a few things I really like. I closed my Twitter account because I was only doing it to enter giveaways. I read only a few blogs I'm following, but I keep following them because sometimes they write something that really interests me. I will miss that you don't have any new posts, but you need to do what God has laid on your heart. I'm glad you're keeping the blog open for us to look at your recipes though. 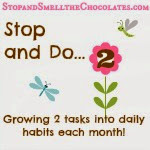 :) I just passed your blog address along to a cousin who likes chocolate. Take care and God bless. He is shining right through you! I love you friend! You know we understand, but it's still so tough. There are seasons, and I love what Kimba said, I can wreck my blog if I want to," so she took a step back as well. Can't wait to see all the Lord has in store for you. I'm gonna miss you, but so understand! I've definitely stepped back a lot. I can't tell you the last time I actually read my reader. I'm so much happier with my balance now. I blog for me and nobody else. I will miss you so much and hope you stop by to say hi now and then. Good luck and keep eating the chocolate!!! I SO understand this...and admire you doing what so many probably should be doing too. I think I post and read other blogs like once every 2-3 months now...because I could sense God saying to me that my most important relationships were suffering. Being willing to quit blogging is definitely bringing Him glory! 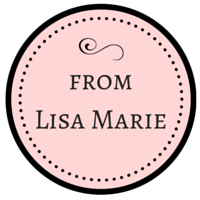 I am so proud of you, Lisa, for hearing, acknowledging, and following God's response to your prayer about blogging. I know you will be missed by blog readers around the globe, but 'tis better than being missed by your own dear family. Go fade so that you may shine, and be blessed sweet sister! I admire your conviction and obedience and wish you the best. I was fortunate to know this was coming but it's still not easy to read. I will miss you more than anyone as we have both kind of gone hand in hand together on this blogging journey. Who will I compete with for followers or give big yada yada hugs to? LOL! Just kidding! I'm just glad that you blogged while you did or I may not have ever had the opportunity to meet you here AND in real life. You're my buddy no matter what and I know you won't fade out of my life. I love you sweet sister and you will be blessed because of your obedience. Big I have a new number and address to give you so you can keep sending me chocolate and coffee size hugs to you! LOL! I really enjoyed reading this post and must say that it convicted me as a Christian as well. 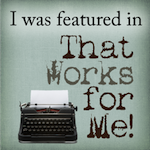 I blog, but moreso to build my writing portfolio as a freelance writer. I too have had dirty dishes and untended housework. Alas, I find it much easier to blog with one hand holding a babe than I do with the others. Maybe that's why my blogging is much more erratic. Thanks for such an honest insight about how your blogging affects you and your family. It helps give me perspective. Sure wouldn't mind a piece of chocolate though! It's great to realize what you should or should not be doing. I love to blog, but I will be cutting back a lot for at least three months to focus on some health issues. I don't have the freedom (is that the right word?) to not blog at all since it's the way I earn money, but I definitely understand the need to prioritize. Good luck and God bless.